Springtime energy at Ibiza Retreats! As the spring energies softly flow in, have you shaken off the last of the winter blues? Are you ready to embrace the energy of the new spring sunshine? If you are still feeling lethargic, blocked, or in any way “not quite there” then maybe your lifestyle needs some purifying – a detox – to create fresh space in your body, your home, your life. Our minds are constantly filtering information from our environmental surrounds. 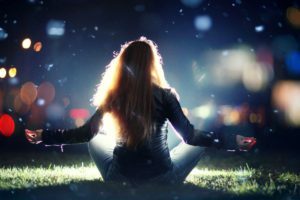 This over-engages what we call the monkey mind and can create those “niggling” blockages and “up at night” insomnia moments, unless we have a regular, purifying internal / external clear-out. Whatever the “stuff” is that is stuffed into that drawer, whichever emails have been sitting, gathering dust at the back of your inbox and yes – those relationships where there are still things “left unsaid” or, if YOU are needing to create inner-space, to give yourself extra focus and love, all of these components that make your life YOURS need regular attention to keep them clean, flowing and pure. How do you feel when you look at what you see? If you imagine eating what you are looking at, do you feel like it will BOOST or DRAIN your energy? Anything UNDER 7-10 for energy boosting needs to go. Your physical response is your inner-truth, it may come through as a quiet voice, physical feeling or a subtle “sense”. And the more practice… the more your inner-wisdom can flow. Digital detox time! Unsubscribe from anything other than what enables you to feel 7-10 GOOD to read. News as we know it, is scripted to create “reactions” which over-stimulate the sympathetic nervous system (which is what turns our system on to fight-flight-or-freeze, mode and activates our adrenals and stimulates the production of cortisol). So if you want more clarity and calm in your life – at every level – start to set the 7-10 FILTERS, opt-OUT and unsubscribe. Choose happy information instead! How can you up your serotonin levels most easily? Get breathing, get moving, create inner-space and focus on nourishing your “whole self”. Get into the magical OUTDOORS as often as you can, make “nature dates” to immerse yourself in OXYGEN and to re-ionise through walking on earth rather than concrete. Yes, even in cities, get to the parks to embalm yourself with calming colour green from trees, lawns and beautiful beds of flowers to help you feel more serene. How many pieces of exquisite design have you picked up at sales that “don’t quite fit” or just simply don’t feel 100% right? Apply the 7/10 rule – beginning with your wardrobe to declutter clothes, shoes and accessories and then continue throughout your home interiors. keepsakes, and knick-knacks all take up head-space, albeit it subconsciously to ensure that everything that you surround yourself with is doing its job, to help you feel GOOD energetically and emotionally. Are your friendships bringing you the warmth, love and support that feels good for you this year? If there are any that are NOT, then for BOTH of your wellbeing, isn’t it better to be clear? Choose to spend time with those with whom you can be yourself and truly shine. Then you can be sustainable radiators for each other and enhance each others’ state of body, soul and mind! So is it time to choose to step up and spring-clean your lifestyle? It is all about “tuning in” and checking in with how you “feel” on a scale of 1 – 10. It really is that simple… and fun once you have begun! You can also invite a friend to come and help you keep reality-checked and the more your practice, the more slick and super-fun your life-flow will become. Like this ? Want to experience more… join us on an inspiring, transformational retreat this spring-time in Ibiza and feel an amazing energy boost – we begin each retreat with holistic energy coaching to detox your lifestyle and encounter new and amazing ways to magically upgrade your newly re-energised-life! https://ibizaretreats.com/wp-content/uploads/2016/02/Yoga-Deck.jpeg 684 1030 Ibiza Retreats https://ibizaretreats.com/wp-content/uploads/2018/02/ibiza-retreats-trans-300x138.png Ibiza Retreats2017-04-08 12:44:272017-04-11 08:41:10Springtime energy at Ibiza Retreats! When you are amidst the challenges and responsibilities of daily life, how often to set aside “me time” to purely rest, be and dream? Why is it that, so often, we put dreaming “last” on our to do lists? As the medical world is beginning to recognise, due to all the functional illnesses presenting themselves, such as anxiety, insomnia and depression, these all have similar “symptoms” but no “root cause” that can be medically diagnosed. Yet finally, modern medicine is beginning to hold hands with mental health professionals and yoga therapists who are collectively recognising that our over-active minds have been seriously stressing our holistic human systems. From our schooling to parenting, to climbing the career ladder, we have been over-conditioned to “make things happen” and “get things done” – we have been programming ourselves to “succeed” materially, even if it pulls out of a positive life state, places pressure on our vital organs, sets our adrenals into overdrive. We need to remember how to be like children more often… living from moment to moment, giving ourselves space to play, to have natural, stimulant free fun, which relaxes our whole system and creates the space for us to dream. Not only does this child-like space connect you to a higher-energetic frequency where you are feeling so good that you CAN you’re your mind and believe in new and better possibilities, this higher life state is one of infinite potential, connected to the third-eye and crown chakras, it also is the space of the “dreamer” within you who KNOWS that life can be colourful, magical and full of divine interventions. It is in the dream-state that you are most open to the power of your heart’s intentions – to God or Spirit or Source guided INSPIRATION. “A wave of Good News travels throughout the system– Lurches and heaves…but not yet a butterfly.” Then at some point, the entire long string of imaginal cells suddenly realizes all together that it is Something Different from the caterpillar. Something New! Something Wonderfull!….and in that realisation is the shout of the birth of the butterfly!” Happy Birthday Butterfly!!! Dreaming is the secret to ongoing conscious transformation, to remaining connected to your deeper wishes and soul-journey, to walking your true “path” in life, to giving space to allow your heart-felt needs to make themselves seen, sensed and heard. Dreaming for me, having just returned from a magical Ulpotha retreat, in emerald Sri Lankan nature, became as valuable as the yoga, the meditations, the kirtans, the incredible massages and ayurvedic treatments. It unlocked my imagination. It reconnected me to the higher vibrations of truly believing (again) in my life as work of magical art – full of infinite creative possibility. 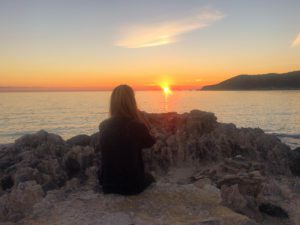 I came away from the retreat ready to reconnect with my life in Ibiza, full of new energy and lightness. I felt like I was resonating with the beauty and open-ended possibilities of life. I felt excited about ALL that the future had in store – childlike, joyful and free. So come on wonderful people, amidst these times of change and TRUMP, of Syria and the ongoing refugee crisis, this year, dare to spread your wings. Put your dreams first! Life is calling you to live your TRUE colours more than ever before. Become a butterfly in 2017…. 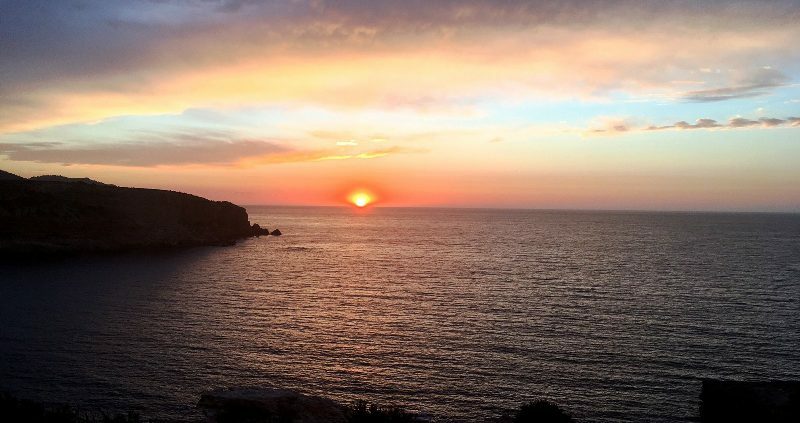 Invoke your own IMAGINAL CELLS by joining us on retreat in Ibiza, nourishing your imaginal frequency by taking time OUT to tune in, rest, rejuvenate and dream! Statistics show that 75% of people break their resolutions just one week into them. So, how about a different approach? Now January is over and many of us might feel like we’ve failed already, let’s start again. You can make positive changes at any time and it’s even easier when the pressure is off! February is the new January. So as I’m on my own retreat and taking time to reflect on the year past – practising gratitude for all that I’ve learnt and how I’ve grown – and the many blessings in my life, I’m still making that resolution to make big changes. And I’ve been in this business a long time now! I know that setting huge, unrealistic goals is like setting ourselves up for failure. So this time, I’ve changed the way that I look at my resolutions / promises to myself / life commitments at the turn of this year. And here are some top tips I’ve learnt along the way from my own experience and also from some of the incredibly wise souls that I’m lucky enough to meet on my path. Avoid negative language like “Stop doing X” or “Don’t do Y”. Make your resolutions something you can look forward to doing – make them more positively focused, with the emphasis on the outcome. Research shows that as a population, most of us don’t get enough sleep. And sleep is so important for not only our appearance, but also the regeneration of our organs, our memory and also our nervous system. So allow yourself to lie-in when you need to and don’t feel guilty about taking a nap! There is nothing more inspiring that taking a life adventure. New places, people and experiences can help us to get out of any ‘ruts’ that we’ve been sitting in, in ‘comfortable discomfort’. Feel rejuvenated and replenished by saving for, planning and going on a trip – discovery and learning is great for the mind, body and spirit! This is probably the most important piece of post-retreat advice we give. Take time daily to connect to yourself. We are so quick to get up, pick up our phones or switch on the TV and get out of the door, that we forget the most important thing – a daily connection to ourselves and our body, mind and spirit. Just taking the time in the morning to sit, breath and listen to yourself can change you whole day. If you feel under particular stress, then take the time to acknowledge what’s making you feel stressed, tap into your intuition and then set your intention for the day ahead. Often just imagining yourself fully protected and safe, before you go and give your energy away to the outside world, can be incredibly powerful. Even better if you have time to do a yoga practise! This is basically a great excuse to get a load of magazines, photos, words and colours that inspire you and to get the creative juices flowing. We like to use as much glitter and fairy dust as possible! If you’re inspired and would like more information on how to create your own vision board, then feel free to email us at info@ibizaretreats.com – or of course you could always join us for a retreat. You can see our full schedule here – https://ibizaretreats.com/retreat-calendar. Gently does it, be kind and take it one day at a time. Happy New Year. 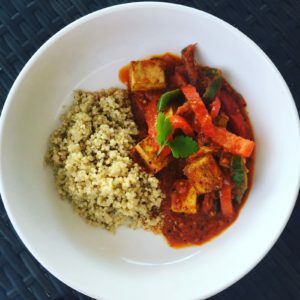 https://ibizaretreats.com/wp-content/uploads/2017/02/yoga-new-years-eve.jpg 800 1200 Ibiza Retreats https://ibizaretreats.com/wp-content/uploads/2018/02/ibiza-retreats-trans-300x138.png Ibiza Retreats2017-02-01 11:46:012017-02-01 11:46:01February is the new January!